Nowadays, it is hard to control or track kids due to the complexity of their lives. Therefore, whether in school, with caregivers or wherever they are, they need to keep connected with their parents. The Gizmo watch for kids is built for the above purposes. After an extensive research about the watch, we found out that it has excellent features, fits into your kid’s wrist well and allows you to stay connected with your child. The Gizmo Gadget is a protected smartwatch that has features as a phone and appropriate for kids between the ages of 6-12 years. 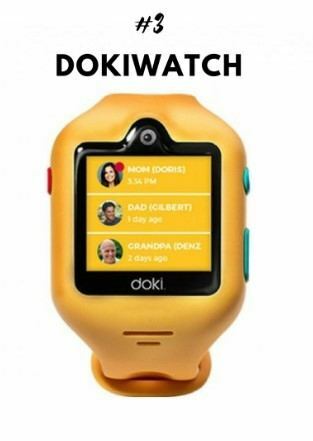 Gizmo watch allows kids to stay in touch with their parents and relatives. The best thing with the Gizmo Gadget is that it doesn’t expose the kids to games, internet and other inappropriate forms of communication. The Gizmo Gadget has colors that are easily appealing to many kids. Basically, the red and blue color are the most appealing because they are not too babyish and can go well with older kids. Some kids find pink not very pleasant and preferred instead. We have found both parents and kids enjoying using a third party band as that is where the antenna is located. Another important feature is that you can snap the functional unit out of the Gizmo Gadget band. This can be changed either into a blue or red band. Children find the Verizon Gizmo Gadget more comfortable than most smartwatches. Unlike other safety devices, Gizmogadget is easy and efficient to use. The Gizmo Gadget replacement band is made for kids aged 6-12 years and can fit even in adults’ wrists. An advantage of this Verizon Gizmo is that it is not sweaty or even painful to wear. Kids even tend to forget they are wearing the Gizmo Gadget because over time, it becomes comfortable to the wrist. This is a huge advantage because it means that your child will want to have the gadget on for a long time. Verizon has put up a great guide on how to use the GizmoGadget by LG. Learn how to set it up right as this is crucial in order to get it running securely. It has a 1.3-inch OLED display which is a touchable screen. With the touch screen enabled watch, you can swipe to show the time, and a menu of useful functions and settings. The Gizmo Gadget features different customizable themes, Basic, Tron, Space, Underwater and Princess. There are also 7 watch faces you can choose from, different variations of Analog to Digital. The screen timeout is also customizable, and varies from 30 seconds to five minutes. It also has an activity tracker, a stopwatch and a timer. The LG Gizmo Gadget allows automated text messages which your kid can make to the contact saved in their gadget. The gadget also has a voice changer in the voice of Darth Vader, Helium, Robot and Squirrel. The Verizon gizmo watch has no classical games. They can play the jumping game or use the fun sounds screen. This means that your kid won’t be distracted while wearing the watch in class. Your kid requires reading skills to operate the watch. The battery life really varies on how much your kids are using the watch. It can last all day if they use it for calling and other safety purposes, but if they play with it, it may not last that long. Age group. The target market of the GizmoGadget is children between the age of 6 to 12 years of age. It is easy to use and its design appeals perfectly to this age group. Calls and SMS. It has location-tracking features that allow kids to make calls and send texts from the watch. Parents can control the watch. 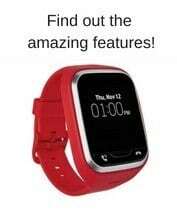 Through the gizmo gadget app, the parent has paramount control of the smartwatch. However, kids are not restricted to have fun over the watch. Easy to make a call. It has an easy to follow calling process. You only need to scroll the address book and tap the name of the person you need to call. Network. The watch has an excellent reception on the Verizon 3G network. Gizmo App. In addition, you can use the gizmo app to set up to 10 whitelisted phone numbers. The Verizon watch phone can only send and receive voice messages, text messages and phone calls from this phone numbers. Emojis. Throughout our research, we have noticed that many kids like texting rather than calling. The LG Gizmogadget voice and texting capabilities and your kid can have fun as well by sending cute emoji’s. 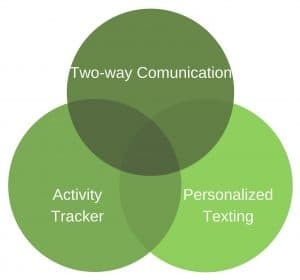 Personalized texting. The Gizmogadget allows kids to send up to 9 preset, customizable text message and many more customizable emoji’s. Short text messages. The watch comes preloaded with short text messages, but you can customize them according to your needs and daily activities via the app. Voice messages. If your kids cannot read, they can also record short voice messages and send them via the texting app. Geofencing. The geofencing option is also available on this watch, and you can set up five zones, so every time you kid leaves one of the safe zones, you are going to get an alert. Location. The location request is unlimited. The Verizon gizmo is only available to Verizon wireless customers. Instead of kids sending random messages, they can only choose from a customizable list of options. The GizmoGadget isn’t that cheap and comes at a subscription fee of $5 per month. Kids can only use the watch as a speakerphone. It also transmits background noise and requires you and your kid to be shouting at each other during calls. Gizmo Gadget offers replacement bands in many colors. You can change the replacement band if your kid does not like its current color, or if it eventually breaks. Some of the customers complained about fragile buckle of the Gizmo Gadget, so because of the broken buckle, they had to purchase a whole new replacement band. We searched and found this very helpful video, so for those who had the broken buckle on Gizmo Gadget, here is a cheap way to replace it, without purchasing a new Gizmo Gadget replacement band. Overall, the Verizon Gizmo watch is all about the kid-focused safety. The location finding service is one of the best and most useful feature this phone watch holds and it is incredibly accurate. It is very comfortable to wear and offers some useful security tools for parents. If you kid is not answering your call, it will automatically answer eventually. Parents will obviously like the watch due to its amazing features that enable them to track the location of their children and at the same time have communication with them. The kids can also communicate with the other contacts preset in their watch and also have fun talking with other kids that has the same Gizmo Gadget phone watch. The features of the Gizmo Gadget such as the Gizmo Gadget band make the watch appealing and comfortable to wear. It is also a real solution for kids who need to stay in touch with caregivers. It is the perfect phone alternative for your kids.